You can choose one or order this piece without a main diamond. * You can pick your own main gemstone for this piece, or you can order it without a main gemstone. The currently selected gemstone may not look like the example shown in the pictures. 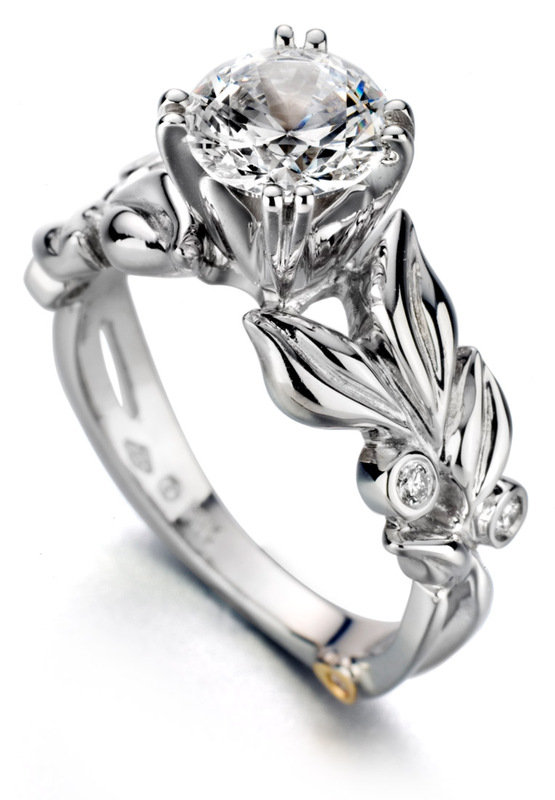 The Flora engagement ring is a celebration of flowers, growth, and nature. Bursting in life, the floral design patterns seem to sprout from the shank and reach up towards the center diamond as flowers reach towards the sun. 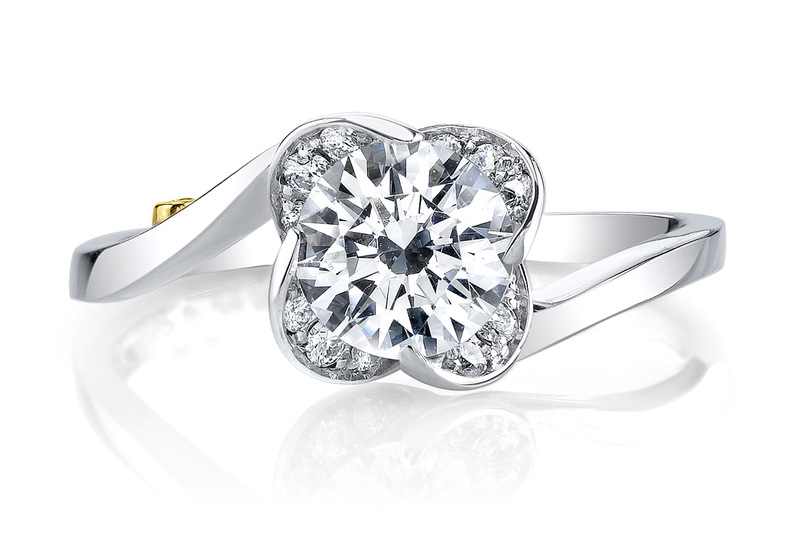 A feminine and delicate design, this ring is perfect for someone who appreciates nature and beautiful design. You can pick your own main gemstone for this piece. This is the gem that's shown in the pictures. * All weights and measurements are approximations. If you're curious, you can read more about precision in jewelry measurements. † Expected shipping dates are estimated, and unforseen complications may arise. We will contact you as soon as possible if we believe we will be unable to meet the expected date. Yes, sign me up for the informative email newsletter! Finding the right diamond or gemstone can be tricky. For starters, there are 4Cs, critical angles, facet patterns, and certifications to be aware of. That's why we've done all the hard work for you. 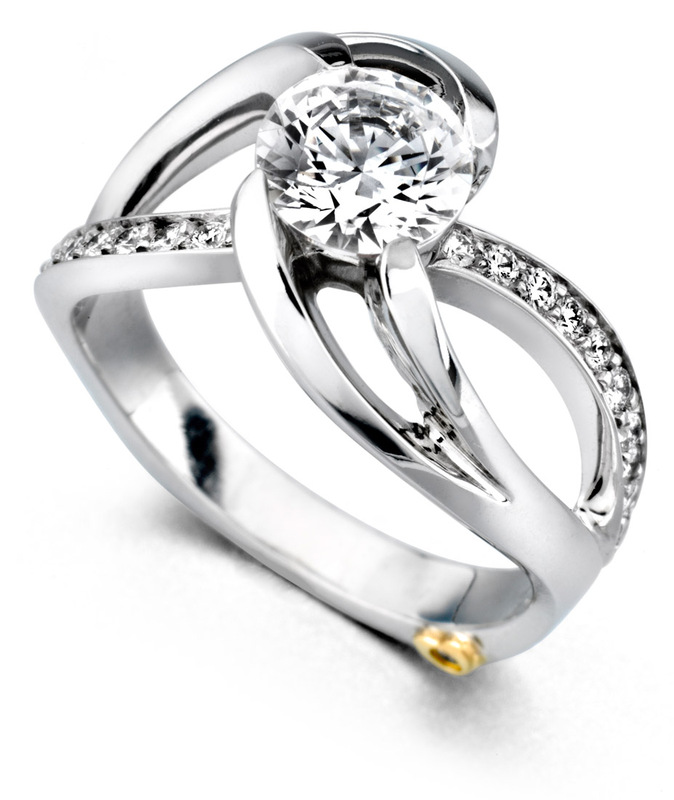 Below you'll find Arden Jewelers' hand-picked, recommended stones for this piece. These are high-end goods, and they will look great in this piece. If you want the best, look no further than these ideal recommendations. These are nice, budget recommenations for this piece. You can save a lot by going with one of these options. Want more options? You're not limited to our recommendations. 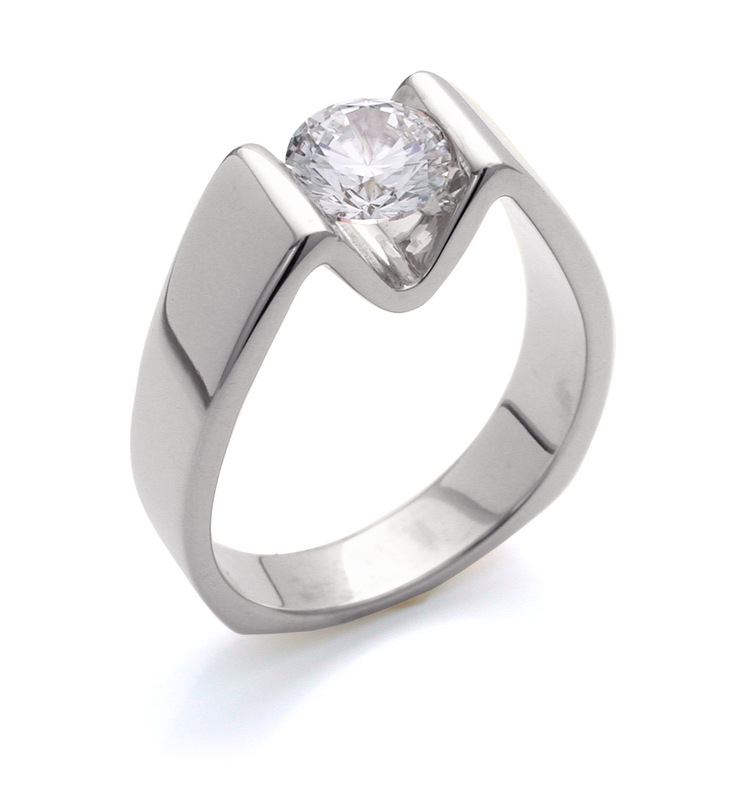 You can use the form below to see all compatible diamonds or gemstones for this piece. Love my cluster pearls ring!!! Couldn’t be more satisfied!"